Clare has not been able to come to Sarawak because of her own doing. She has been making baseless allegations against the State, the political leadership in particular, to give it a poor image especially in London and Zurich, Switzerland, the home based of Bruno Manser Fonds, her partner in carrying out smearing campaigns by disseminating lies and falsehood against the Sarawak. Obviously, she is a person with the least decency. She is still criticizing Tun Pehin Sri Haji Abdul Taib Mahmud, the Governor and the previous Chief Minister of Sarawak even though he is no longer in politics and should be above politics and political issues. The irony is the people of Sarawak accorded a British adventurer, James Brooke as a white Rajah but Tun Pehin Sri Haji Abdul Taib Mahmud, a very much loved person by the local people, is being reviled by Clare. If Clare cannot accord the some respect and recognition to Tun Pehin Sri Abdul Taib Mahmud as the Governor of Sarawak, the least, the local people expect of her, as a decent human being, is to refrain from attacking and spreading lies and falsehood against him anymore. 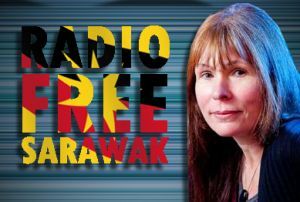 The latest lies and falsehood being spread by Clare Brown through the notorious Sarawak Report is the so-called purchase of Roll Royce (Phantom) by the Chief Minister, Tan Sri Adenan Haji Satem as the “gift” to Tun Pehin Sri Abdul Taib Mahmud. The Roll Royce (Phantom) was bought as the official car of the Governor of Sarawak while Tun Datuk Patinggi Haji Muhammed Salahuddin was still the Governor of Sarawak. It is definitely NOT being bought by Tan Sri Adenan Haji Satem as GIFT to Tun Pehin Sri Abdul Taib Mahmud. Shame on you Clare!!! Clare Brown, who gate crashed into a recent dinner party hosted by Datuk Patinggi Adenan at the Malaysian High Commission in London should have heard his pledge of making transparency as the core of his administration. He is all out to fight against illegal timber loggings, stop leasing huge tracts of land for oil palm plantations and create fear of God to members of the Civil Service in doing their jobs. Obviously, Clare is not convinced of Chief Minister’s campaign on good governance but she owes him an apology for being rude and having no sense of decency in bringing her friends to grate crash into his party in a security area. Shame on you Clare. You still have a lot to learn about bad mouthing others for money. Those who are paying you are wasting their time and money. Try honest work for a living!